January 2016 • STEP Prepare: buy fabric and supplies. 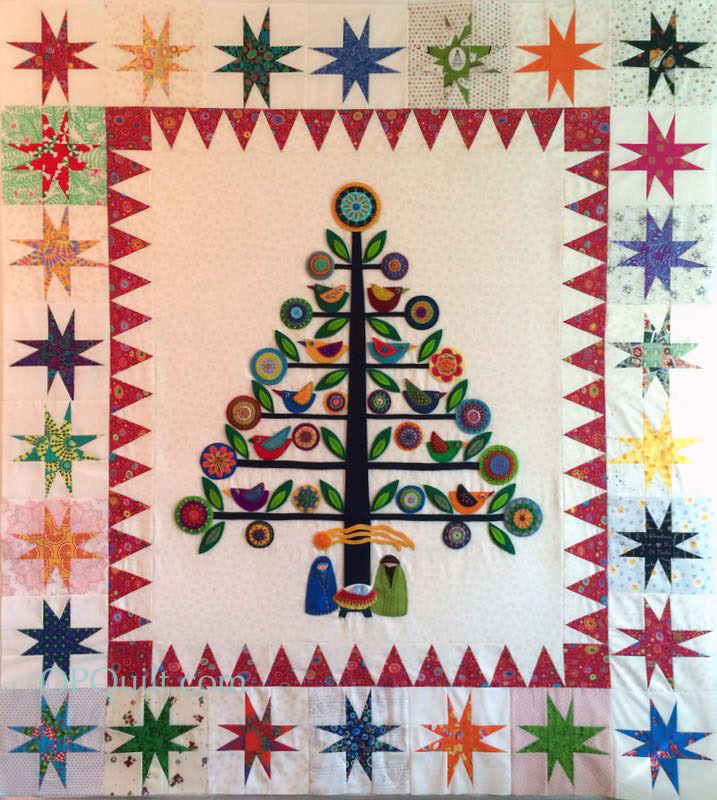 Please tag your Instagram posts with #ohchristmastreeqal so we can help each other with ideas for stitches. February 2, 2016 • STEP 1: Cut and stitch down the tree. March 2, 2106 • STEP 2: Stitch the flowers. April 2, 2016 • STEP 3: Birds. May 2, 2016 • STEP 4: Sew flowers and birds to tree. June 2, 2016 • STEP 5: Under the tree scene. July 2, 2016 • STEP 6: Make inner sawtooth (red) border; attach to quilt. July 19, 2016 • STEP 7: Border #2 (wonky stars). More information about each step on post; click link for more info. Locate pattern; buy fabric. NOTE: It appears that all copies of the pattern in the known universe, previously available from Primitive Gatherings, have been sold. You might try contacting commenters on this post to see if they are willing to sell you a pattern, or leave me a note on any post. March 2016 • Step 2: Cut fabrics and label. 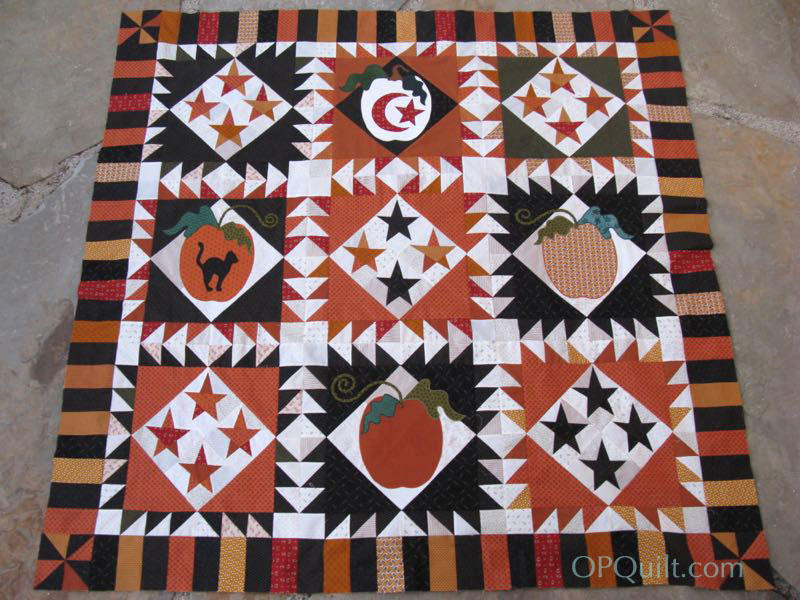 April 2016 • Step 3: Assemble large blocks with appliqués; add HST and large triangle borders. Free pattern for cat/moon/star on blog post. May 2016 • Step 4: Make wonky stars in a slash-and-stack method. Free pattern and direction on blog post. June 2016 • Step 5: Finish star blocks with HST and large triangle borders. July 2016 • Sew blocks together and add piano key border.